It has taken a while, but I’ve finally got all the files for GNS3 WorkBench v8.7 uploaded to sourceforge. The major difference between v8.6 and v8.7 is the addition of the challenging ICND1 Readiness Test, as well as updating the instructions for all labs to relate more closely to the “snapshot” idea. The script file that updates your topology files if you have a different IOS image to the recommended version has also been updated. 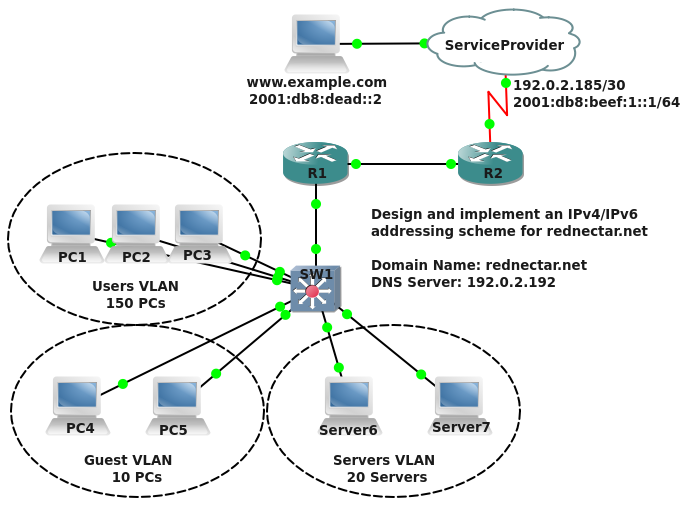 This entry was posted in Cisco, dynamips, GNS3, GNS3 WorkBench, Labs, Router Configuration and tagged Certification, Cisco, Cisco Systems, Dynamips, GNS3, GNS3 WorkBench, Linux, Virtual machine, VMware. Bookmark the permalink. while ISP router starts normally. Firstly, I believe there are bugs in the NAT code in c3725-adventerprisek9-mz.124-15.T14 – I don’t know about c3725-adventerprisek9-mz.124-15.T8. I recommend c3725-adventerprisek9-mz.124-15.T10. Is Qemu working on 8.7? You blog rocks, thanks for all the hard work. Neither can I!! Nor will it until Jeremy implements the Snapshot feature – and then I can do the conversion! In the meantime, stick with GNS3 v0.8.7.